with Java in general. Regardless, I've still managed to put this mod together in less than 24 hours. 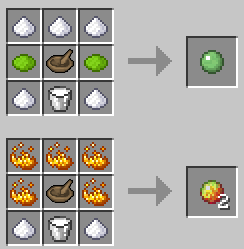 So what is the Mortar and Pestle Mod? 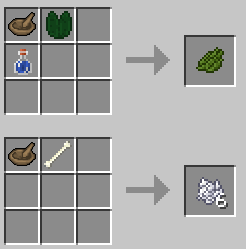 I succeeded and now have enough 'grind it up' recipes that I have myself my first small mod. Absolutely, here you go, nicely tucked up warm under this here spoiler. Nuh pix nuh clix, right? I want to see it working..
Well I happen to have a Channel, and I enjoy making Youtube videos... Sooo, I threw one together to show case the mod. Perhaps you don't like my voice? Perhaps your English is not your native tongue? No problem, thanks to generous users with Youtube channels, here are few different Mod Spotlights you could check out instead. Thanks to everyone who has taken the time out to review the mod on your channels! Pfft, noob, probably doesn't even have a config file. # Completely disable any recipes you do not wish to use by setting them to false; True to re-enable. # Tweak the outputs produced by the Mortar and Pestle to your liking. 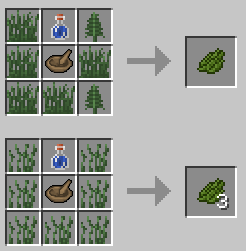 # A few additional options I thought may spice up the mod a little bit. 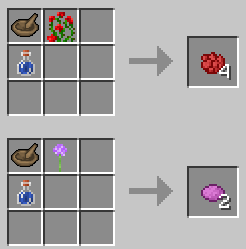 Witches will now be able to drop the Mortar and Pestle upon death. Can be disabled from config. 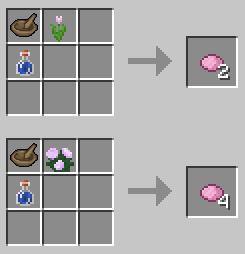 Q) Does the Mortar and Pestle have durability or is consumed? Q) Can it be repaired? 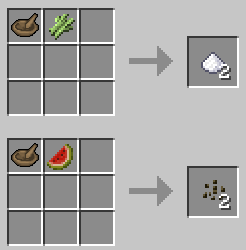 A) No, I don't like how combining two items magically makes a single healthier one..
Q) What version is this for? using just a handful of resources, without posting a single request for help, in less than 24 hours; you have no excuse, Mr Wanna'be modder. Go ahead and look up these. 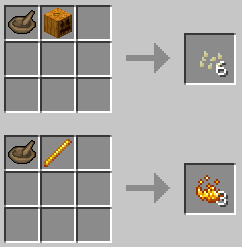 This Forge Thread for showing me Item Durability. This... This is really awesome! i Made a mod Showcase whit your mod from italian country :D!! 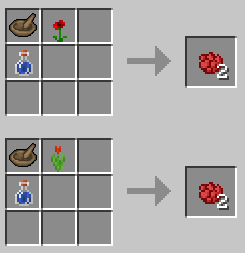 Nice mod, I've already written on your curse page but I'm using this mod in a modpack, just wondering if I can add recipes for the mortar and pestle, also have you ever considered adding like a better mortar and pestle? 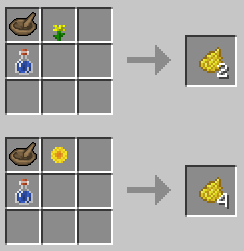 Like with more uses? Or one that can be used for ore doubling? ImmersiveTechnology, Evolving Technology (ex dev), Evolving Technology 1.10.2 Alpha (ex dev), Rowan.